Listen to RECLAIMED: Dialogues on Justice and Kinship Podcast by clicking here. Discussions include restorative justice, current events, and faith. New episodes post each Friday. On Saturday, January 20th reVision was featured at Chapelwood United Methodist Church's Mercy Street ministry. Download the audio on iTunes here (episode date 1/19/2018). The Texas Annual Conference of the United Methodist Church featured “Green Space is Ground Zero for Change: Soccer vs. Gangs” on March 28, 2019. Click here to read it online or download a .pdf here. On January 1, 2019 Robin Young with NPR’s ‘Here & Now’ program talked with reVision FC players Francois and Iluta and coach Charles Rotramel, about the team. Listen to the interview by clicking on the link or download the file here. USA Today featured the reVision soccer team in “As U.S. cuts refugee numbers, African teens find brotherhood on a Texas soccer team” on December 7, 2018. Click here to read it online or download a .pdf here. 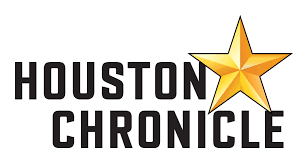 The Houston Chronicle featured “Getting Kids out of the Prison Pipeline” about the first Youth LEAD (law enforcement assisted diversion) Program for juveniles in the nation o nSeptember 26, 2018. Click here to read it online or download a .pdf here. Read about the "Remarkable Journey to Sedalia for reVision Six" and the potential for reVision's soccer program to create a pipeline to college in an article run by a local Missouri newspaper on August 17, 2018. Click here to read it online or download a .pdf here. The Texas Annual Conference of the United Methodist Church features "reVision Houston: Reaching Kids on the Edge" on January 11, 2018. Click here to read the article online or download a .pdf here. The Texas Tribune features "How Harvey-affected kids in jail or on probation are getting help in Houston" on October 26, 2017. Click here to read the article online or download a .pdf here. The Houston Chronicle features "Ecumenical ReVision provides hope - and pizza - to troubled teens" on July 9, 2016. Click here to read the article online or download a .pdf here.